A few of my fellow WWDC 2009 attendees and I drank a little too much of the Apple Kool-Aid and installed Snow Leopard and Xcode 3.2 over our existing Leopard installations. 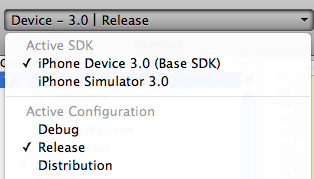 Unfortunately, iPhone 2.x SDKs were no longer available. Every now and then I find myself in the Finder and really wishing that I was at the Terminal’s command prompt within that Finder directory. Here’s a short screencast discussing the “open .” command to easily take you from Terminal to Finder and an AppleScript that makes jumping from the Finder’s current directory to the Terminal a breeze. Enjoy!